Starting out in Dream Frequency on XL Recordings, Ian Bland's musical career has spanned 26 years and seen him at the forefront of the UK's dance music scene. 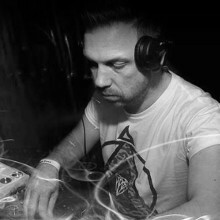 More recently, he formed his own house label Maison Records, which regularly releases solid house tracks with great support from DJs and fans alike. In this 4-hour course, Ian covers every aspect of creating the classic, funky, bass house track 'Can't Live Without You', made exclusively for the tutorials. All parts are individually conceived, before he shows in detail how to lay out and automate each section of the track, as well as add insert and send effects, mix and then master it. Before signing up, check the free excerpt and track from the course, embedded on the media tab. An intro to the course and preview of the track that's made throughout the tutorials. The drums are individually programmed and edited to create the beat, mainly through a process of playing live and then tweaking afterwards. Auxiliary channels are created for the drums, which are then used to apply different insert and send effect processing. Finally, an A/B effect is used to get the drums roughly mixed. Shows the quickest ways of chopping up a long vocal sample and resequencing it to create a unique pattern. Some interesting doubling techniques are employed and then a vocals bus set up with some light processing applied. Processes the complete vocal sample with various effects for cleaning up, widening and adding depth and character. Then, flex time is used to correct timing issues and all vocals are bounced in place. Two different synths are sequenced to create a classic rolling bassline, alternating with some FM warehouse stabs. Then, the basses are processed both individually and together, to ensure the stereo imaging and levels are as they should be. Logic's organ synth and chords MIDI effect are put to good use to create a nice accompaniment to go with the bass and vocal. The part is then processed and automation applied for extra development and interest. A combination of different looping samples are used to add atmosphere and texture, as well as create automated rising FX sequences. Additional loops are used to pad out the groove and then various one-shots are selected, which will serve as extra sounds to accent the arrangement later on. The track intro is constructed, from the parts created in the previous tutorials and new sounds made on the fly, making fine edits to everything and adding automation as the song develops. The first breakdown is put together, once again fine tuning each part and adding additional automation to help create smooth transitions, a solid build and satisfying drop. More editing and processing techniques are employed to make the main drop section, which includes vocals, leads and numerous breaks and fills, to keep the groove rolling with sufficient interest and variation. A new piano part is created to accompany the organ that adds some nice additional melodic content, which is then processed and used to help build and lead into the second drop. Final adjustments are made to the auxiliary channels, to ensure the EQ and dynamics are right across the board, as well as any other aspects of the mix, before a 24-bit audio file is exported. In the concluding module, Ian utilises Logic's built in mastering plugins and A/Bs to a reference track to create a fat-sounding finished product.